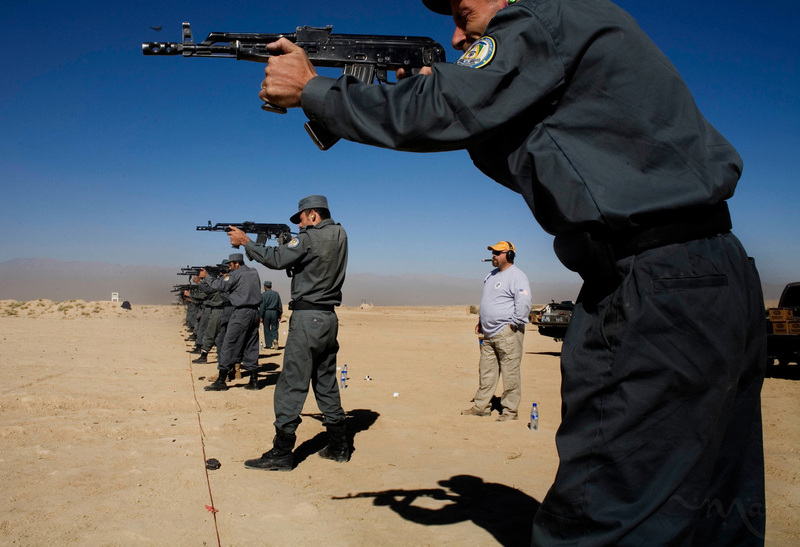 A DynCorp employee, center, monitors an Afghan police rifle course at a military range east of Kabul on Sunday October 21, 2007. The range is part of a Tactical Training Program (TTP) that is a follow-up and refresher to the first 8-week training the police received. The TTP gives Afghan police training in weapons, tactical movement as a team and classroom learning including criminal investigation training. Most of the classes are run by Afghan police teachers with mentoring and assistance by DynCorp employees.